One of my favourite blogs that I like to following is Down To Earth and reading each post is like having a cup of tea with my favourite domestic goddess Mrs Walker. All the grandmother goodness about living on a budget, repurposing and making things from scratch are all held in this wonderful blog. Here is another repurpose idea of baby formula jars that I received recently. Firstly I have used them for my raspberry cordial and secondly we used at Joey Scouts. 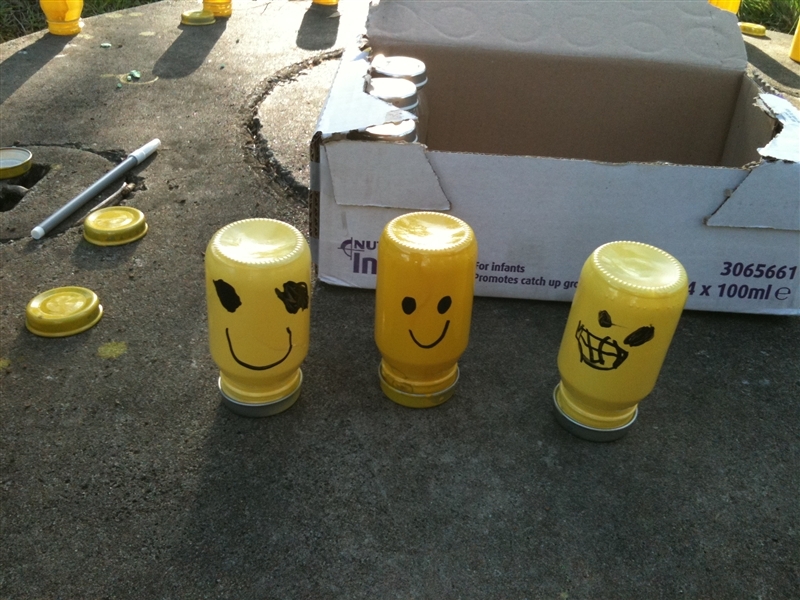 At our Scout Open Day last weekend, my fellow Joey Leader and I came up with this brillient idea to spray paint these little formula bottles bright yellow and when they dry draw a lego face on it. These little yellow bottles were a hit, we made over 20 of them. The uses for these little jars are endless, coming up soon will be a post on home grown dried herbs.